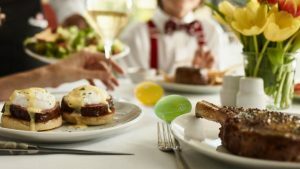 Easter Specials: Join Bar Boulud for a traditional Easter brunch that will leave smiles on all of your family’s faces. 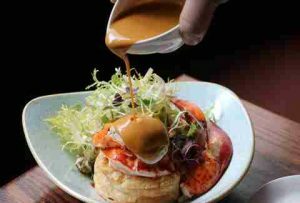 Bar Boulud’s brunch has a continental breakfast station, New England raw bar station, seasonal soups and salads, multiple egg selections that include eggs benedict, scrambled eggs with lobster, and a tortilla española. Their main course selections include french toast, roasted leg of lamb, Atlantic salmon, and spring risotto. Pastry Chef, Robert Differ, will craft homemade culinary confections for the day and the Easter Bunny will visit table side. To us, it sounds like Bar Boulud will be having a pretty spectacular Easter brunch! Easter Specials: Join Bistro du Midi for a special holiday overlooking the Boston Public Gardens. Chef Sisca has crafted a special three-course menu that is perfect whether you want to go for lunch or dinner. Their extensive French menu will cater to all different tastes but might make it hard to make a selection! Some of the entrees that we are already eyeing include the vegetable quiche, beet root gnocchi, Maine butter poached lobster Benedict, and the Hopkins Southdown lamb with fresh mint jus. 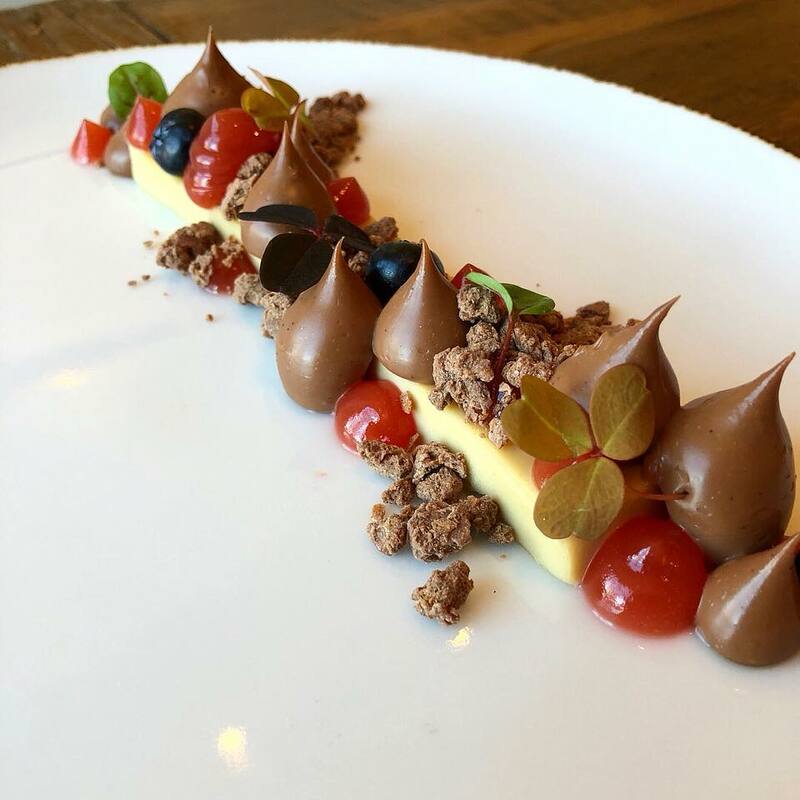 Finish your meal with one of Bistro du Midi’s delectable desserts. A dulcey ganache, matcha panna cotta, and brioche beignet are all on the menu. Easter Specials: Enjoy great food with the ones that matter most this Easter. 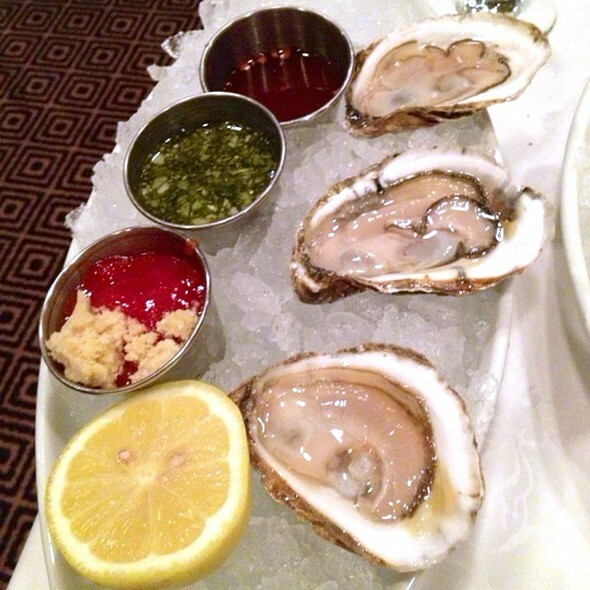 Capital Grille is serving a brunch that is more on the savory side this year. Start brunch off with a classic soup or salad. 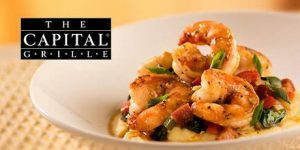 Entree choices include shrimp and grits, lobster frittata, aged NY strip steak with a fried egg, filet mignon, and pan seared salmon. Dessert options are kept classic with a flourless chocolate cake, creme brûlée, and strawberries and cream. Add a mimosa on for just $9 more. 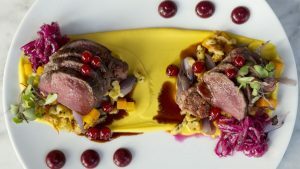 Easter Specials: City Table, the relaxed yet elegant eatery, will be serving up its specialities this Easter. Along with its regular brunch and dinner menus, City Table also added three Easter specials. Avocado toast is all the rage currently and City Table put its own spin on it. 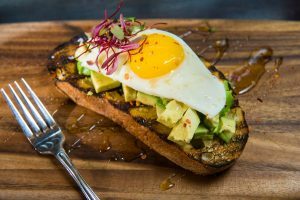 For an appetizer, an avocado and fava bean toast with a sunny-side egg and pancetta is on the menu. Easter entrees include a grilled rack of lamb with golden raisin chutney and grilled faroe islands salmon with spring vegetables. 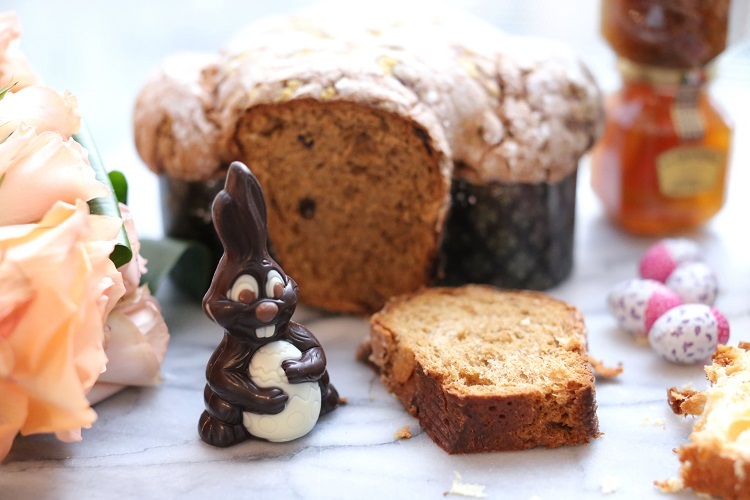 Don’t forget to try the classic Easter dessert—carrot cake! City Table’s unique spin on it will make you wishing you had more than just one piece! 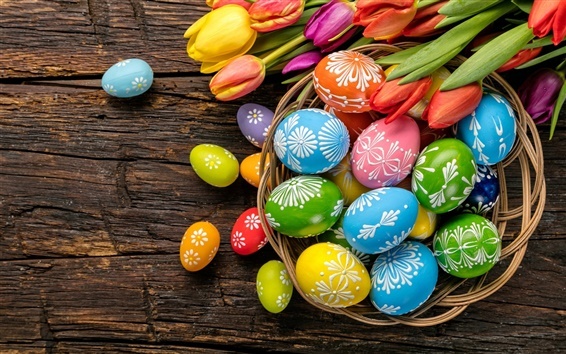 Easter Specials: Easter is a time for family and food. Where better to spend it than Italian favorite, Davio’s? Davio’s will be open early on Easter Sunday. In addition to their regular menu being served from 11-3, Easter brunch specials will also be offered. These specials include french toast with fruit compote, Maine lobster omelet, country-egg omelette, and beef tenderloin with poached eggs and grilled tomatoes. Davio’s has also added special dinner items to their menu. These include a fresh vegetable cous cous, bucatini carbonara, heritage rosemary honey-glazed ham, Jonah Crab stuffed jumbo shrimp, and balsamic mint glazed lamb chops. Easter Specials: Looking for somewhere sophisticated yet comfortable with a great view for an Easter meal? Look no further than Deuxave. Deuxave is serving a three-course lunch and dinner this Easter. Both lunch and dinner menus feature classic French favorites. Start the meal off with your choice of a beet and goat cheese salad, smoked duck confit, clam chowder, or fried rock shrimp and calamari. Main courses feature lamb loin, strip steak, lobster salad, halibut, and homemade pasta. Deuxave has also crafted sumptuous desserts for the night that include a mango tart, cafe crepe cake, and a chocolate easter egg brownie. Easter Specials: Have a Greek Easter dinner this year with Doretta Taverna. Their four-course menu is served family-style and features Greek favorites that will leave you feeling Greek, even if you are not! Start the meal off with your choice of house-made spreads and pita or Doretta’s Village salad for the table. 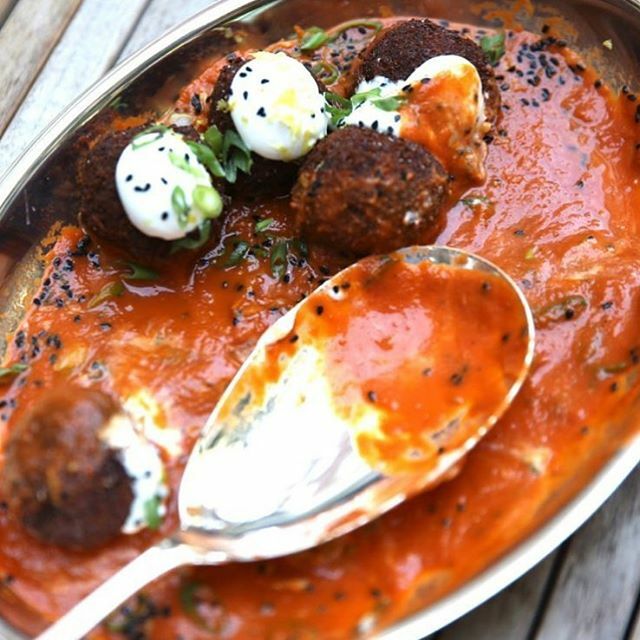 Everyone then gets their own mezze. You can choose between a spinach pie, lamb meatballs, roasted cauliflower, grilled octopus, zucchini chips, or pan-roasted shrimp. The next course includes two family style mains for the table. Choose between a 15 hour lamb shoulder with touboleh, roasted eggplant with an ancient grains salad, branzino with quinoa and peppers, homemade pasta with spring vegetables, or pan roasted chicken with herbs. The night ends with chef’s selection of desserts for the table. Easter Specials: Why not celebrate Easter at Eataly? Each restaurant at Eataly will be celebrating in their own way. Terra will be celebrating Easter will special green dishes on their menu. These include pea green salad, potato ravioli, and olive brined lamb. Il Pesce’s Easter special will be a slow-cooked beef short-rib. Il Pesce is also accepting reservations for this special occasion! La Pizza & La Pasta will be serving homemade pappardelle pasta with olives, rabbit, and pecorino cheese. And La Piazza’s Easter special will be a roasted leg of lamb. After you finish dinner, grab one of Eataly’s special Easter cakes, colomba, to finish your night on a sweet note! Easter Specials: Don’t settle for mediocre food this Easter. Head to Fleming’s for their Easter best. This three-course brunch menu will please everyone in your family. Entree choices include Fleming’s signature Eggs Benedict, cinnamon apple brioche french toast, California style steak and eggs, salmon cob salad, or porcini-crusted filet mignon. And what good brunch would be complete without dessert? Dessert selections include New York cheesecake, creme brûlée, and fresh berries with chantilly cream. If brunch just isn’t your thing, head on over to Fleming’s for an Easter dinner. Following an amuse bouche, the dinner includes one of their delicious salads, either a modern caesar salad or a Fleming’s salad, which has candied walnuts, cranberries, onions and tomatoes. For the main course, Fleming’s is featuring its 8 oz filet mignon paired with a North Atlantic lobster tail. 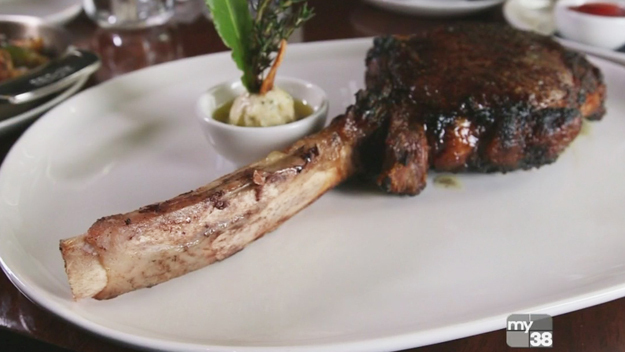 Or for just $9 more, you can upgrade your meal to feature a colossal king crab leg in addition to the filet mignon. 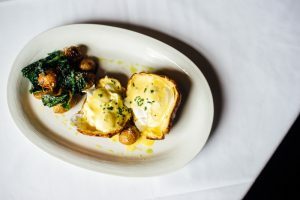 Whether you go to Fleming’s for brunch or dinner on Easter Sunday, there is no way you’ll leave anything but satisfied. Easter Specials: Head to this steakhouse staple in Back Bay for either brunch or dinner. Grill 23 & Bar will be serving their full a la carte menu from 11:00 a.m.- 9:00 p.m. Just because it is Easter doesn’t mean you can’t indulge in a steak! In addition to their full menu being served, brunch specials are also being added to the menu from 11:00 a.m.- 3:00 p.m. Might we suggest the crab Benedict or baked french toast with berry compote and warm maple syrup? 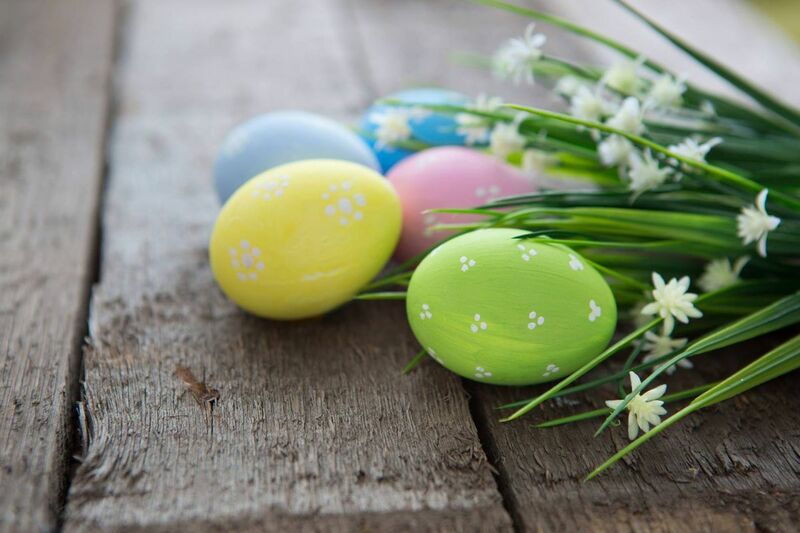 Easter Specials: In addition to OAK’s classic brunch menu, they will also be having three specials for Easter. 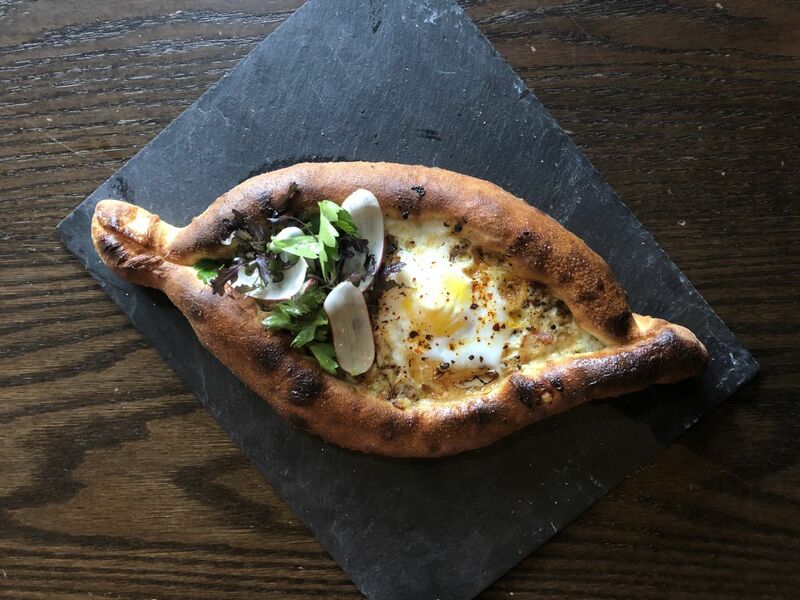 Their appetizer specials include a Khachapuri, which is hearth baked bread filled with fennel, cheeses, and eggs, and a Jonah Crab Cake. Their entree special is everyone’s breakfast favorite, Quiche Lorraine. If you are looking for somewhere a little more casual to eat brunch and spend time with your family, OAK Long Bar + Kitchen will not disappoint in providing a memorable and delicious Sunday brunch. Easter Specials: Post 390 has traditional sweet and savory options to please any family, no matter how picky they may be. In fact, we are already drooling over the menu. Start your meal off with one of their many appetizers, including a giant brioche cinnamon roll, buttermilk fried chicken, Maine crab cake, and potato leek cakes with smoked salmon. Although all these appetizers sound delicious, make sure to save room for the main course and also desserts! Some of the entree options include New England lobster roll, top sirloin of Brandt beef, roast leg of lamb Benedict, or fluffy buttermilk pancakes. End brunch on a sweet note with your choice of lemon ricotta doughnuts, banana cream pie, or your own cookie jar with fresh baked cookies! Easter Specials: If your family members are meat-lovers, this is the place to go. 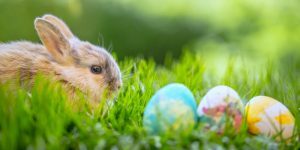 This Verano restaurant group will be serving festive Chef Specials on Easter in addition to its a la carte dinner menu that would please any Easter Bunny. The appetizer special is a lamb lollipop with deviled eggs and a potato nest, the entree is a braised lamb shank, and the dessert special is a vanilla cake with a chestnut nest and white chocolate gelato. Easter Specials: This Easter enjoy a lavish brunch buffet in Taj’s Grand Ballroom. The buffet includes something for every palate including omelet and waffle stations, soups and salads, raw bar display, and cheese and charcuterie. The main entrees include mint glazed leg of lamb, prime rib, fish, pasta, and Indian specials, each with appropriate accompaniments. The day is made even more special with a special visit from Barn Babies, the region’s premier traveling petting zoo. It will be a tough choice between visiting bunnies, chicks, and baby goats first or the Easter Bunny! The Café will also offer an a la carte brunch menu on Easter Sunday from 11:00-2:30. The Taj Boston’s signature afternoon tea is also available on Easter Sunday. Easter Specials: Make this Easter one to remember for your family. Enjoy delicious food at the Top of the Hub while also enjoying Boston’s spectacular views. Top of the Hub’s brunch menu is full of breakfast classics as well as sophisticated choices. Options for the first course are mainly sweet while the second course is savory. Main course choices include omelets, croque madame, roasted chicken breast, lamb ragu, and seared yellowfin tuna nicoise. Finish off brunch with one of Top of the Hub’s delectable cakes. Make sure to bring a family member that will share so you can sample the chocolate and strawberry mousse cake and also the peanut butter chocolate layer cake! It’s all sophistication for Top of the Hub’s Easter dinner. Choose between a soup or salad for the first course and a more savory option for the second course. Main dinner courses include your choice of sautéed spring greens, seared scallops, roasted halibut, her-roasted rack of lamb, roasted chicken breast, or braised short rib. The dessert option are the same as brunch—cake! Chocolate and strawberry mousse cake or peanut butter chocolate layer cake will be your choices for dessert! Did we mention you can add wine pairings for $30 to make your dinner even more complete?